From the N1 (Western Bypass) take the William Nicol Turnoff, turn right onto William Nicol Drive and drive in a Northerly direction towards Fourways for approximately 3km. Cross over Leslie Road. At the next traffic light intersection (Kingfisher Road), turn right into Montecasino Boulevard. 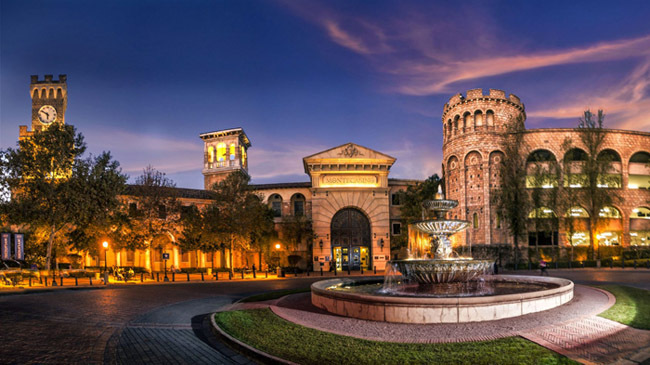 At each traffic circle you will find entrances into Montecasino on your left-hand side. NB: The Gautrain bus Pick-up and Drop off point is at the 1st traffic circle, Palazzo Circle, more commonly known as West Drop Off. (Just outside the Palazzo Hotel/ Bird Gardens Entrance). Contact Monte Casino on the mail / number below to book accommodation.